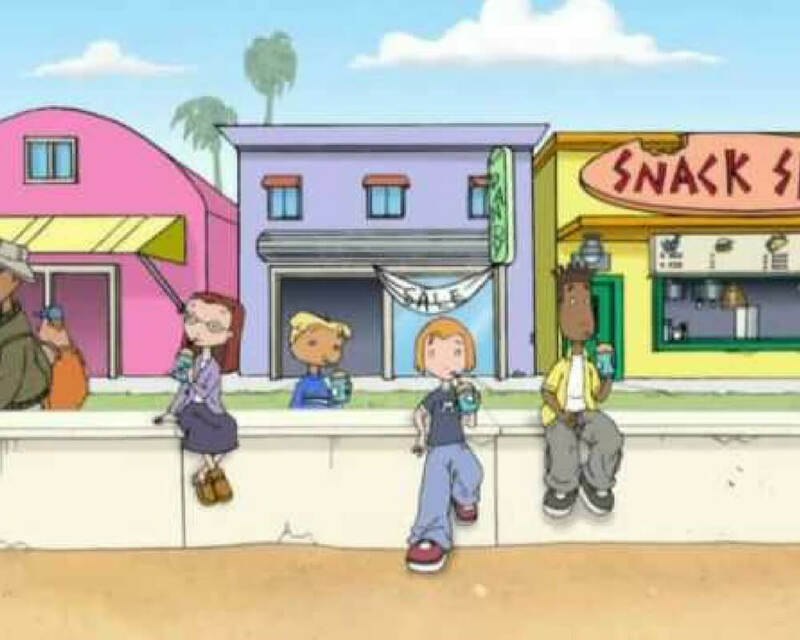 Every other cartoon kids’ show, Imma let you finish, but The Weekenders was the greatest kids’ show of all time. No other show expected more from its audience, delivered better jokes, or kept us as entertained. 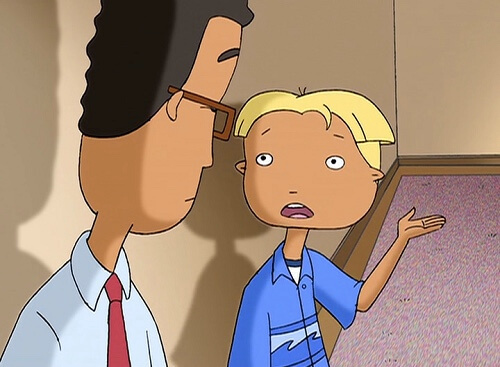 The writers of The Weekenders deserve some kind of award— I mean, at least an Emmy or something. Tino, Lor, Carver, and Tish were all super well-developed characters. I could relate to each of them in some way. 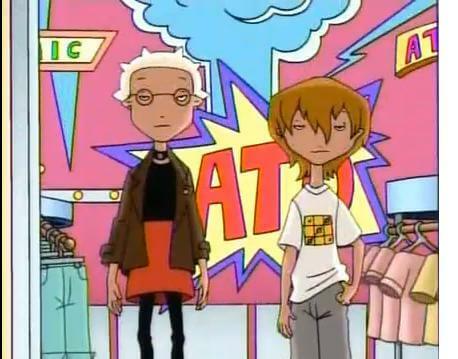 This show was actually full of valuable life lessons presented in a way that wasn’t condescending or patronizing. 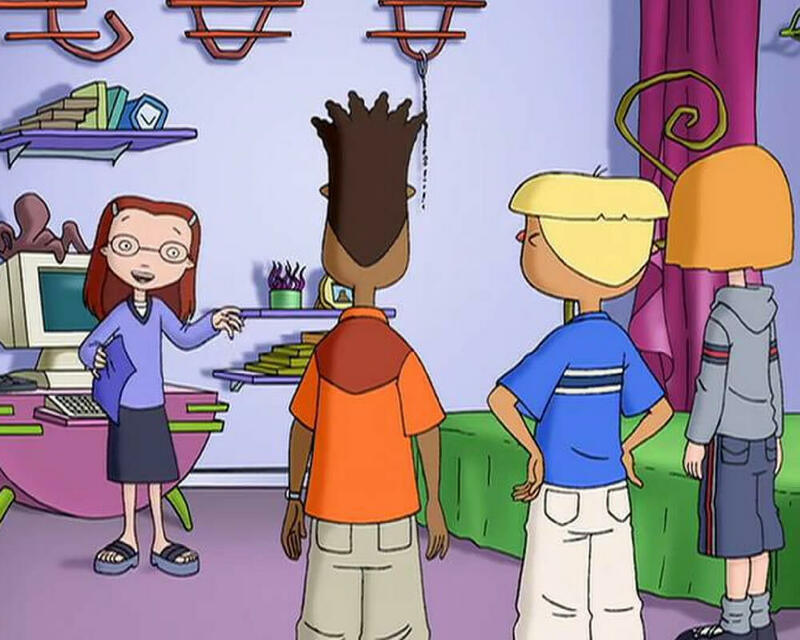 Keep reading to learn why every kid ever should watch every episode of The Weekenders (even though it’s been off the air since 2004). 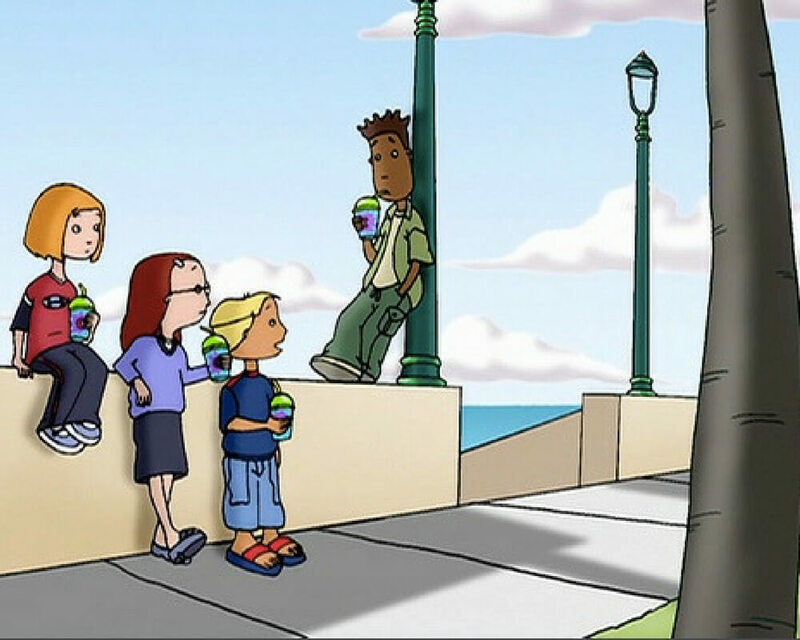 The Weekenders was way ahead of its time in terms of artistic flair— at least, it was way ahead of its target demographic. Tino regularly broke the fourth wall. In fact, the show was structured around his fourth wall breaking. The show was also full of meta, self-aware comments. It expected more engagement from its young viewers, and we rose to the challenge. In season three, episode twelve, Tish, Tino, Lor, and Carver create a presentation on France for a local food festival. Tish spends a lot of time making a very involved French dessert— a croquembouche. A croquembouche is a cone-shaped tower of cream puffs held together with caramel. 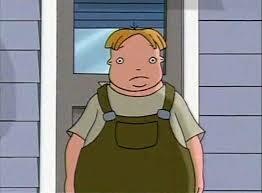 Thanks, The Weekenders, for keeping me cultured. 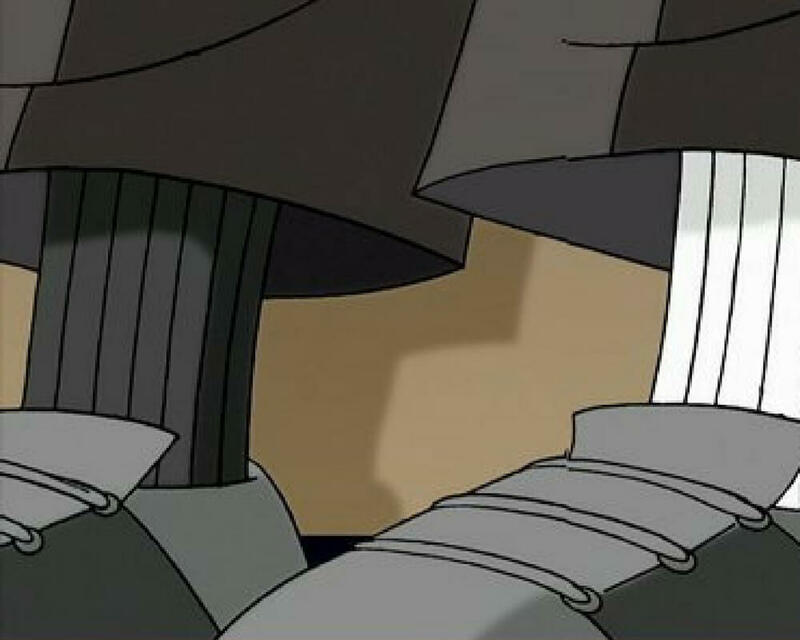 In most cartoon television shows, characters have one single outfit that they wear throughout the series. Marge Simpson had her green dress, Arthur had his yellow sweater, and Fred Flintstone had his orange cloth thing. The Weekender kids have a whole wardrobe. They each have their own signature style, but they don’t wear the same shirt every episode, or even every day. 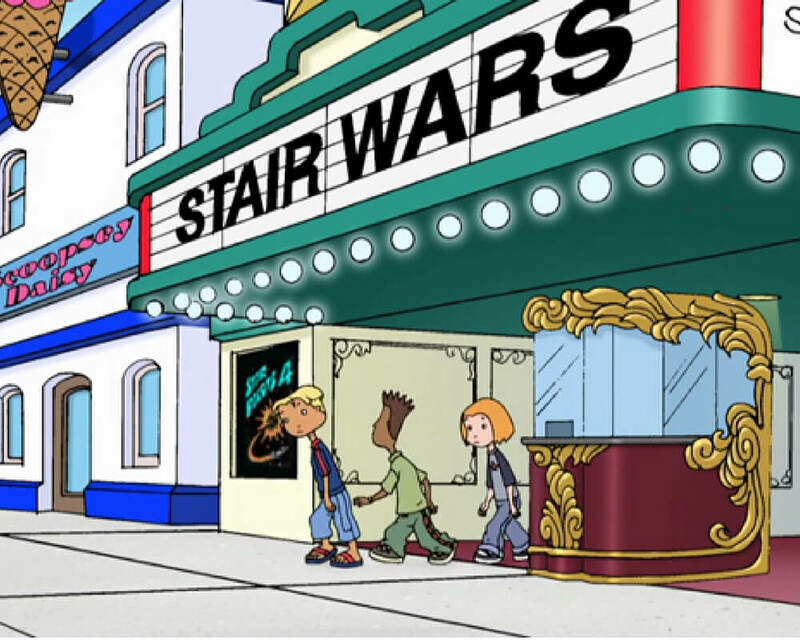 The show was realistic, and that’s what I needed when I was twelve. 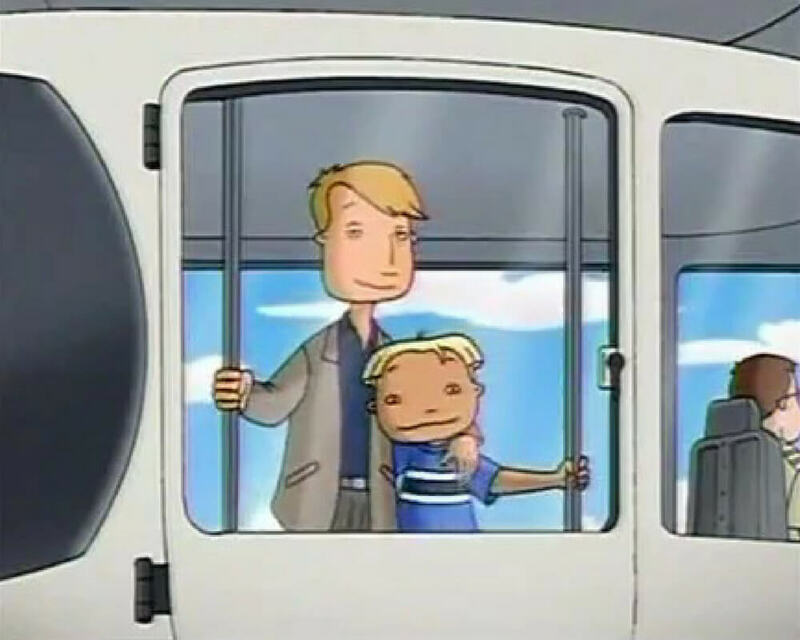 All the kids on the show had really great relationships with their parents, which is unusual in a kids’ cartoon. Tino’s mom was always there with some good advice or a sick burn when appropriate. She had her flaws, but she understood her son. She and Tino always had open conversations, even when things got hard. She was funny, so it was easy for audiences to love her too. Tino’s relationship with his mom gave us all something to model our own interactions with our parents after. There were so many good jokes in this show. Some of them were so smart that they went right over my eight-year-old head. 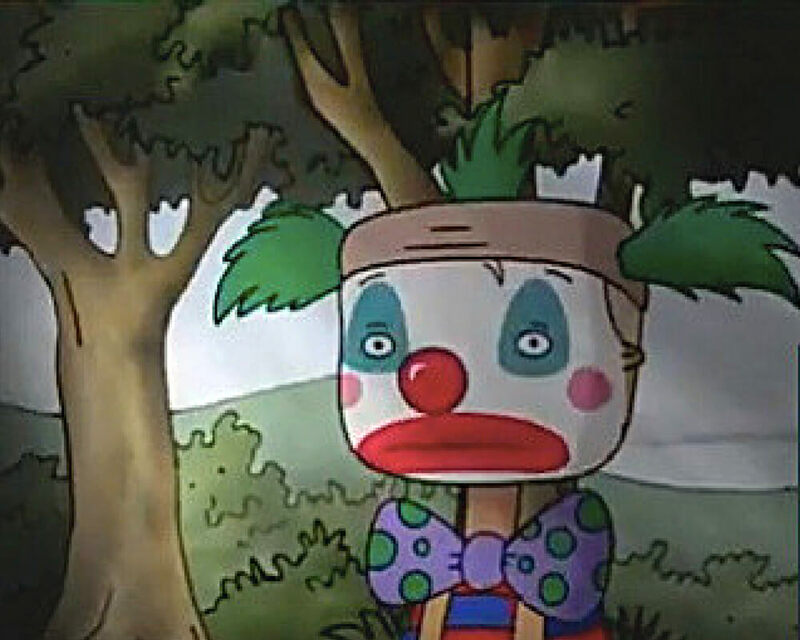 The jokes in The Weekenders made it a show that kids and parents could watch together. Tino’s mom had some sick burns. Lor was always quick to clap back with something clever. The writers of this show definitely went above and beyond as far as jokes are concerned. Tino, Lor, Carver, and Tish got up to some crazy adventures, but their stories were always firmly rooted in feelings and human connections. These kids were extremely emotionally intelligent twelve-year-olds. They cared about each other and other people in their social circle. I definitely think that watching this show made me more self-aware and more sensitive to other people’s feelings. The “cool kids,” Bree and Colby, were cool because they were apparently aloof. 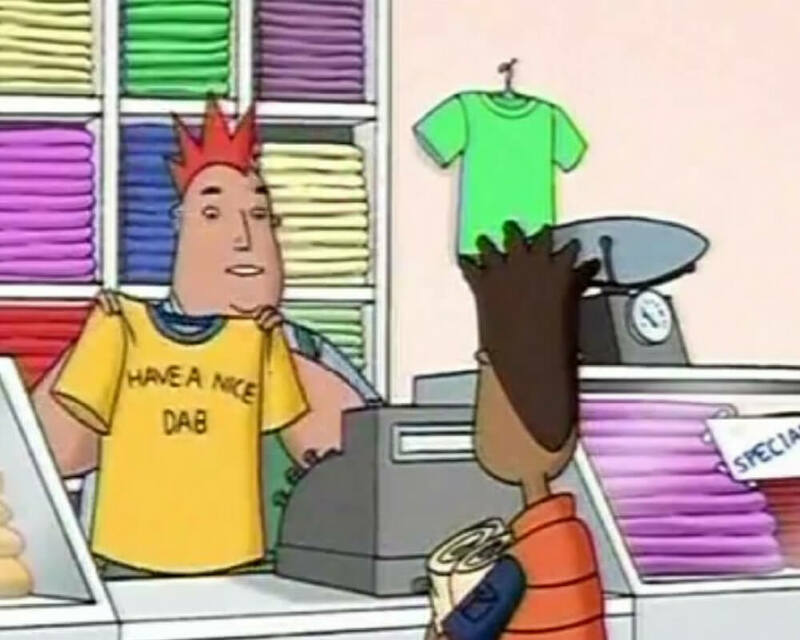 In one episode, Carver decides that he wants to become a cool kid. Bree and Colby teach him how to act like nothing matters and nothing affects him. Eventually, Carver decides that the cool kid lifestyle isn’t for him. He goes back to being the caring, shoe loving, skateboarding Carver that we know and love. Bahia Bay’s local pizza joint was having an identity crisis throughout the entire series. This place was always rebranding itself even though the kids were more interested in the pizza than anything else. 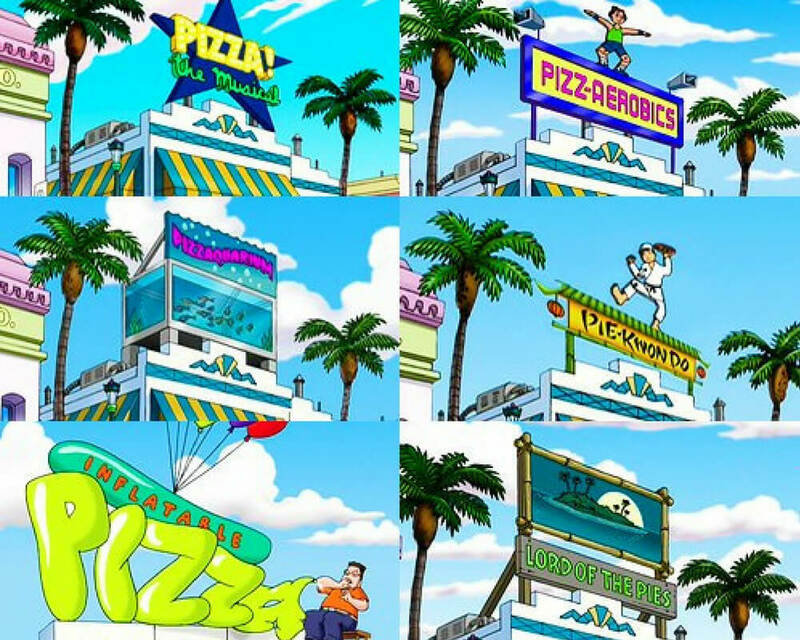 I bet all of us secretly wished that real pizza places changed themes this often. Now I feel sort of sad that I’ll never get to experience Inflatable Pizza, or the Night of the Living Pizza, or Pizza Platypus. A traumatic incident involving an overly made-up aunt left Tino with an intense fear of clowns. To get over his fear, Tino goes to clown school. We may not be afraid of clowns, but everybody is afraid of something. Tino’s ability to face his fears inspired us to take on the scary and difficult things in our own lives. Also, he looks pretty funny in clown makeup. 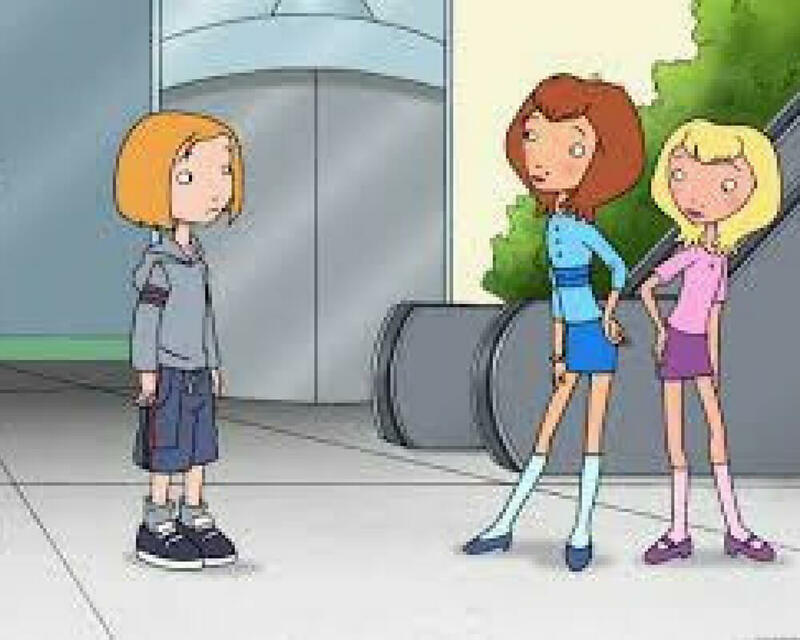 This show also taught us to be worldly and tolerant through Tish’s parents. Her Eastern European mother and father didn’t pronounce every English word correctly, but they were loving and attentive and super funny. We probably should have known this tip before watching The Weekenders. 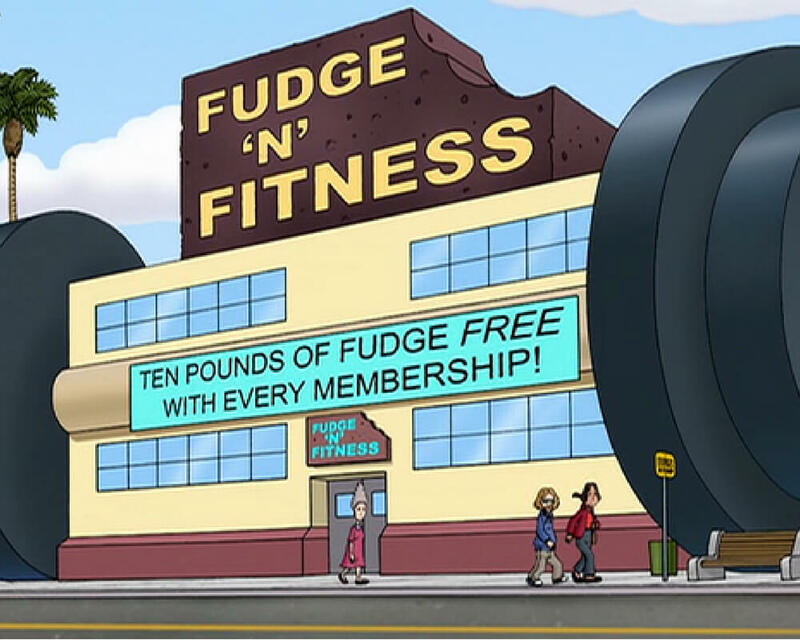 If anything, the show probably introduced us to the idea of carrying around loose pudding in your pocket. 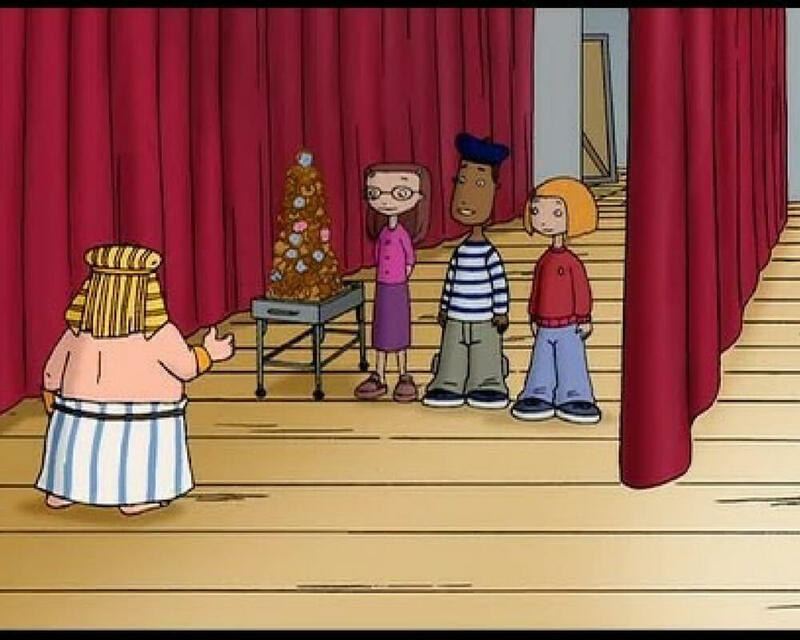 At least most of the other kids on the show thought it was pretty weird. Nobody made fun of Blake for his pudding-carrying habits, though, which was nice of them. They just politely declined his loose pudding offers. Carver was the shoe king of Bahia Bay. This guy really loved his footwear. Which is why it’s even more egregious that Carver was the one who wore mismatched socks to a very important event. Always make sure your socks match, people. Don’t make Carver’s mistake. 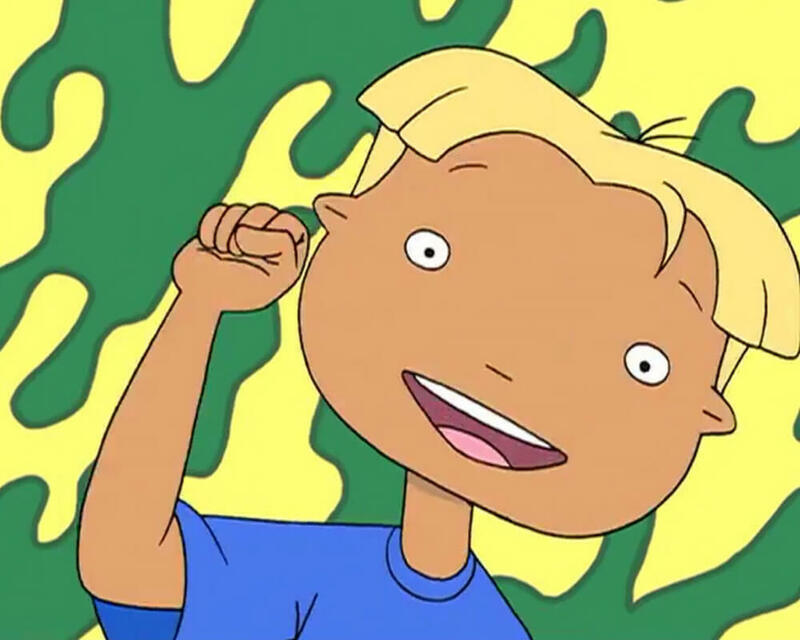 The famous (on infamous) Chug-A-Freez even makes an appearance in the lyrics of The Weekenders‘ theme song. These slushies looked absolutely delicious. I know we have slushies in real life, but there was something about these ones that just seemed— better. Honestly, I would welcome a Chug-A-Freez brain freeze. This is what can happen when you don’t pay attention or read closely. You can go through life accidentally wandering into boring movies. 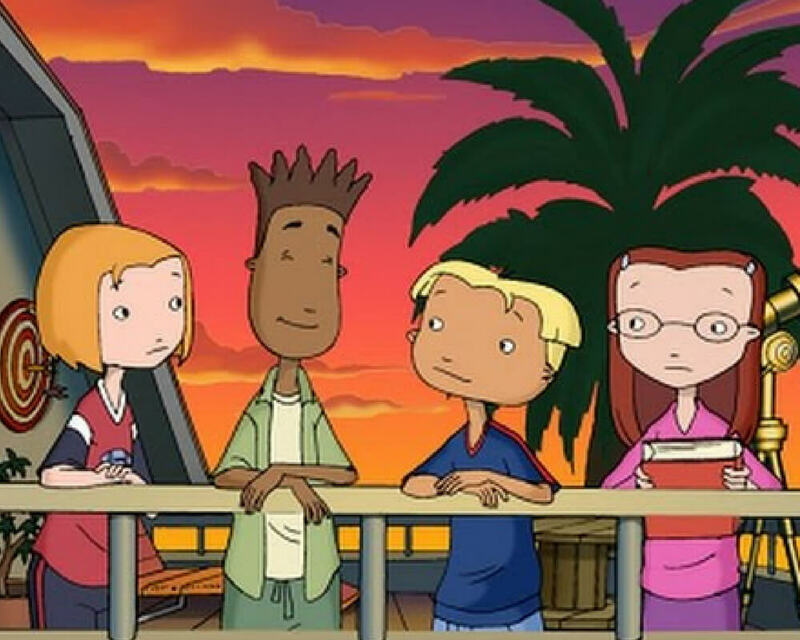 The Weekenders taught me to slow down and pay attention. I can proudly say that I’ve never accidentally wandered into the wrong movie. 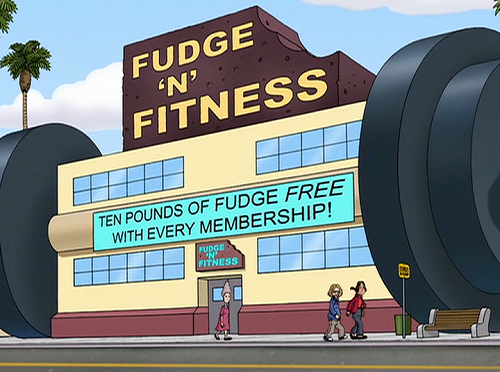 Well, this looks like the most counter-intuitive gym concept ever. While this seemed silly at the time, look at a certain purple gym franchise that has become popular as of late. Yeah, I’m looking at you Planet Fitness. What’s happening with your pizza Mondays and free Tootsie Rolls all the time? 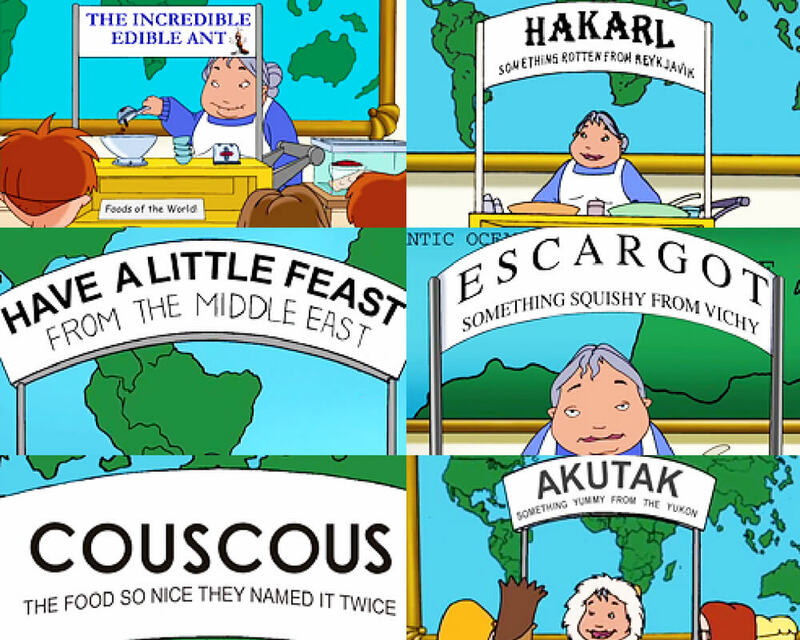 A lot of the references in The Weekenders went right over my head when I first watched the show. 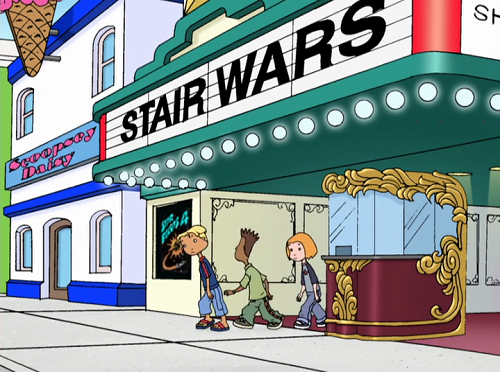 Now that I’m revisiting it as an adult, I’m realizing how many high brow allusions are actually in this cartoon. Most of them came from Tish, but Tino had some too, and so did Tino’s mom. These kids were cultured as heck. It definitely gave me something to aspire to. The final episode of the whole series deals with Tino spending the day with his biological father. Tino’s parents are divorced. He lives with his mom, and his mom’s boyfriend, Dixon. This episode showed how nerve-wracking and awkward it can be to rebuild a relationship with a distant parent, but also how everything can work out ok in the end. Way back in the early 2000s, Carver saw this misprinted shirt. Back then, we just laughed at the silliness of it all, but today this shirt takes on a whole different meaning. I actually would love to wear this shirt today. In fact, today, this wouldn’t even be considered a misprint. Carver should have invested in it when he had the chance. 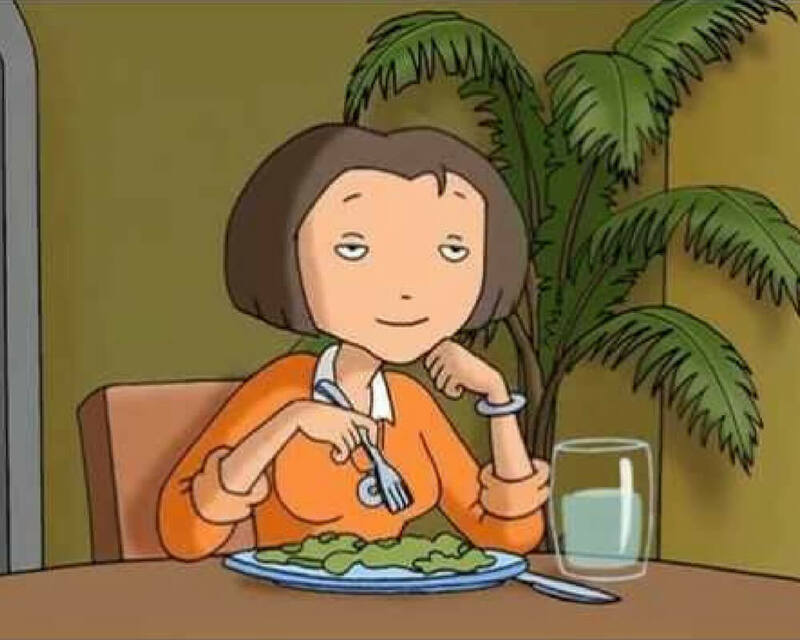 In the first season of The Weekenders, Lor tried to change her tomboy appearance to impress a boy that she had a crush on. Two popular girls help her transform her look. In the end, Lor learns that it’s ok to dress comfortably and a little boyish. Her realization helped so many young girls learn to be ok with their femininity— however they decide to present it. Tino, Tish, Lor, and Carver always made the most out of their weekends. They knew that Friday, Saturday, and Sunday were precious gifts not to be squandered. Watching this show definitely made me want to have epic weekends. I wanted to go outside, spend time with my friends, go to a carnival, and try couscous. These kids were truly an inspiration.